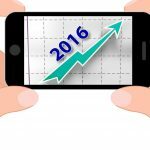 For enterprise IT, 2016 was a year of big surprises and major occurrences. A number of game-changing events took place, from AWS and VMware announcing an important cloud platform integration to Oracle buying Dyn after one of the biggest DDoS attacks in history. Most developments last year were more or less cloud-related. And that’s probably just a glimpse of things to come in 2017. 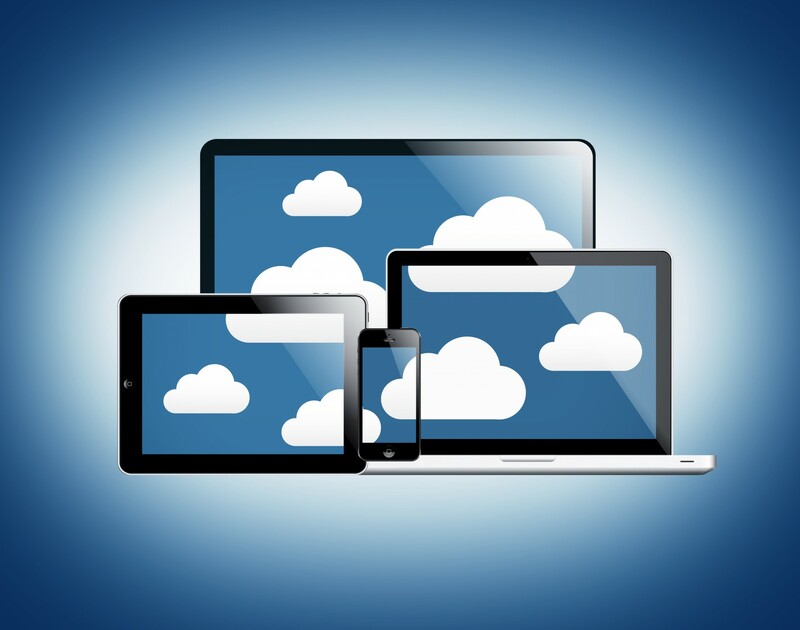 Cloud computing seems to be the way of the future, and apart from some interesting developments in collaboration software and security, cloud seems to have stolen the show last year. Here’s a quick recap of the biggest developments that took place. Perhaps the most exciting development was the new AWS instance types. Apart from the new F1 instances that support programmable hardware and give developers access to game-changing programmable hardware known as field programmable gate array or FPGA, AWS also expanded its more simplistic T2 instances. T2 instances are popular among AWS customers with general purpose workloads such as application servers, web servers, development environments, continuous integration servers, and small databases. Seeing this, AWS has gone ahead and added two new larger T2 instance sizes -- one called t2.xlarge with an additional 16GB of memory, and t2.2xlarge, with an additional 32GB. The new sizes offer up to four times the amount of baseline performance and retain the ability to burst to the entire core when you need more compute power. They have also improved on the popular R3 instances by giving them an L3 cache along with a faster memory. This improved R3 instance is now called R4 and supports a network performance of up to 20GB with dual socket Intel Xeon 2.3Ghz processors and DDR4 memory. The new R4 instances are available in six different models varying from 2 CPUS with 16GB of memory and scales up to 64 CPUs with about 488GB of memory. The new I3 instances have also been upgraded with Non-Volatile Memory Express (NVMe) solid-state drives and are also available in six different sizes with up to 64 vCPUs, 488GB memory and 1.5 tb of storage. Together, AWS boasts the most impressive lineup of cloud instances for every type of workload. Ever since people have started using GPUs for increased computational power, there has been a rising demand for an instance that incorporates GPUs. The new P2 instance from Amazon does exactly that and provides up to eight Nvidia Tesla K80 accelerators, each running a pair of GK210 GPUs. The ability to add such high-performance graphic acceleration to regular EC2 type instances is also in the near future. While in the P2 instances the instance size determines the number of GPUS, the upcoming EC2 elastic GPU feature allows you to add GPU processing power to any EC2 instance. This is a great option if you don’t want to rent a dedicated GPU instance like the P2, but rather want just a little bit of GPU processing for a short time. Another development that shook up the IT world was the Dyn outage. The Dyn cyberattack took place on the Oct. 21 and its impact was felt far and wide. Apart from opening everyone’s eyes to the shortcomings of IoT security as we know it, this attack also served to raise awareness of the existence of the Mirai malware that has been used to orchestrate these attacks, and the fact that whoever wrote the code has also been so “kind” as to make it open source. With an estimated load of over 1.2Tbps, the DDoS attack was the largest ever. Dyn is a DNS provider and was targeted through IoT devices that use factory-default usernames and passwords. The attack affected several top-rated websites, including Twitter, Netflix, Spotify, Tumblr, Amazon, and Reddit and has made it clear that the IoT definitely needs to beef up security. Most of the devices that were exploited for their vulnerabilities in security were made by Chinese manufacturers and were typically mass produced and inexpensive. There is really no fix except to disconnect these devices from the Internet altogether as the passwords are embedded deep in the firmware and are not easily changed by the common user. The silver lining to this story is that enterprise software giant Oracle acquired Dyn and its global network that powers more than 40 billion traffic optimization decisions for 3,500 enterprise customers on a daily basis. It’s likely that talks about the acquisition were on even before the outage. Dyn is lucky to have ended the year on a high despite the rough ride. As many of us know, DevOps is all about clear communication and transparency. With emphasis on development and operational teams working side by side on projects in parallel as opposed to the traditional waterfall approach, ChatOps has become an essential part of DevOps collaboration as it greatly increases the efficiency and the communication between both departments. ChatOps basically refers to the use of chat-based collaboration tools like Slack and HipChat to facilitate the process of developing and shipping an application. Use of these tools not only greatly enhances collaboration between DevOps teams but also enables faster development, reducing the need for sit-down meetings and discussions. The key to success for any tool related to DevOps is integration, and ChatOps is no different. Most ChatOps tools rely heavily on integration with third-party software like Slack’s integration with PagerDuty and Skype, or HipChat’s integration with Puppet. With giants like Microsoft joining in on the ChatOps fun with Microsoft Teams, the emergence of ChatOps tools and collaboration software in general was a major development in 2016. The future for ChatOps tools lies in voice and video chats -- Slack has already added a group voice chat with the ability to call a group or a single user. 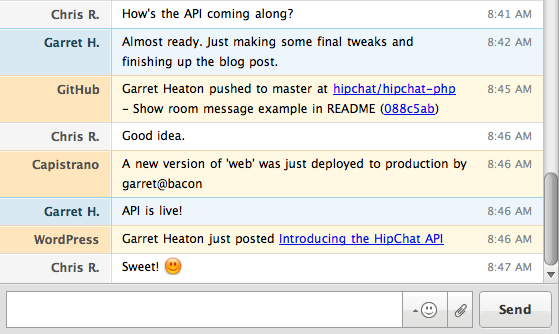 While Slack relies on Skype for video chat, HipChat has its own video calling feature. Slack is still the more popular choice; users say just being online gives you more information about what’s going on in an organization than any number of emails. ChatOps tools in general are credited with reducing dependence on email, much the same way as the launch of the Internet -- and email -- reduced dependence on snail mail. The time saved by not having to go through emails and organizing them is one of the main reasons these tools are gaining popularity; enterprises will always choose a technology that saves time every time. 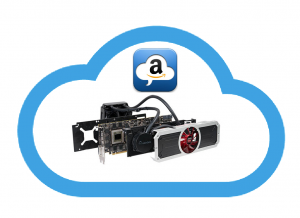 Another major development of 2016 was the emergence of the hybrid cloud. This development is a great example of how to bridge a brand-new technology with a legacy system that people have invested time and money on. As humans, we don’t always accept change the way we’re probably supposed to, and the rise of the hybrid cloud is a great example of this. People prefer familiarity over just pure power, and giving them a platform they’re familiar with is a much more encouraging way to get them to take that giant leap of faith into the cloud. The hybrid cloud seems to be the first choice for the enterprise for a number of reasons, varying from the ability to store sensitive and critical data locally while using the cloud for less sensitive material and high volumes of data. Cross integration of on-premise servers and cloud servers means that they act as a single datacenter and can be addressed as such. To further cement the hybrid cloud’s claim to being a major development of 2016, the agreement between VMware and AWS gives almost every datacenter in the world access to the AWS’s cloud resources through the familiar vSphere platform that they are already invested in and familiar with. Now that the 2017 journey is underway, it’s a good time to realize that 2016 had many lessons for the enterprise IT. Collaboration and communication tools for development and operational teams saw an increase in output and efficiency. The push to the cloud has been loud and prominent. The black or white mindset when thinking about cloud and local servers has now given way to a gray area of hybrid servers that have a little bit of both worlds. What 2016 showed us is that the IT industry can be far from predictable, and this has set the stage for what may be an even more unpredictable 2017.